From the janitors to the president of the United States, everyone jumps on the racial discrimination bandwagon condemning racist comments made by Donald Sterling, owner of the Los Angeles Clippers basketball team. Notwithstanding the crudeness of the comments, as a black man I fail to understand the outrage. No, I am not defending Mr. Sterling but I couldn’t help thinking whether the outrage is because he expressed those sentiments being who he is and was not careful enough to prevent the outing of the audio conversation or for us (blacks and blacks’ sympathizers) to have a new target to “stump on”. Less than a week prior, the target was Cliven Bundy who made equally insulting comments. You’d be hard pressed today to find a publication that doesn’t have some reference to the Donald Sterling saga. I’d say we are barking at the wrong tree. Every day, everywhere, in every scenario, blacks are subjected to both overt and subtle, outrageously unfair treatments but not much press coverage is dedicated to those cases. On the job front, they are less likely to get the job even if they are more qualified; they are less likely to be promoted even if they are more qualified; they are less likely to be mentored for the next highest level position and they are more likely to get paid less even with better credentials for comparable or similar positions. On the streets, they are more likely to be victims of police brutality, arrest and killing; they are more likely to have their constitutional rights violated; they are more likely to be stopped and frisked. On the justice system, they are more likely to be penalized, to be thrown in jail, to receive harsher punishments, to have higher set bails. On the Education front, from admission to discipline and grading, bias is rampant. Neither Mr. Sterling nor Mr. Bundy run those hundreds of thousands of institutions that have such practices. Be they expressed publicly as Mr. Sterling and Mr. Bundy had done or privately as hundreds of thousands of others do regularly, those sentiments are at the core of the racist comments and the discriminatory practices across the country. I submit that the comments by Donald Sterling or Cliven Bundy do not deserve that much press coverage; after all, they’re not exceptional cases. As outrageous as their comments may be, the treatments blacks are subjected to regularly across the country are even more outrageous and deserve more press coverage. Doesn’t Mr. Sterling have the right to say he does NOT want blacks at his games? 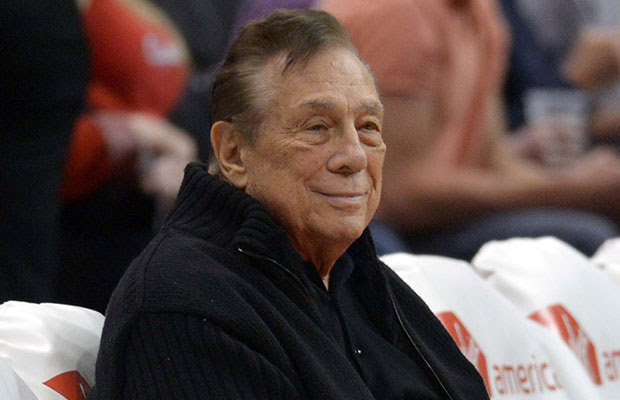 Would it have been OK if Mr. Sterling were to say that he did not want Whites at his games?